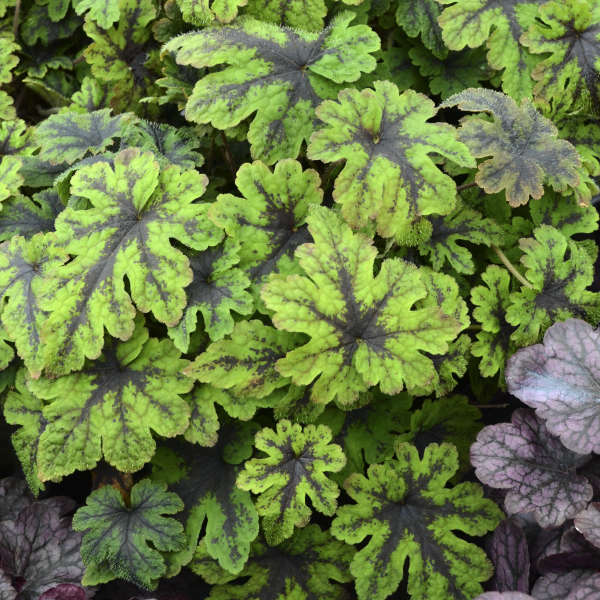 Tiarella 'Fingerpaint' PP28012 | Walters Gardens, Inc. 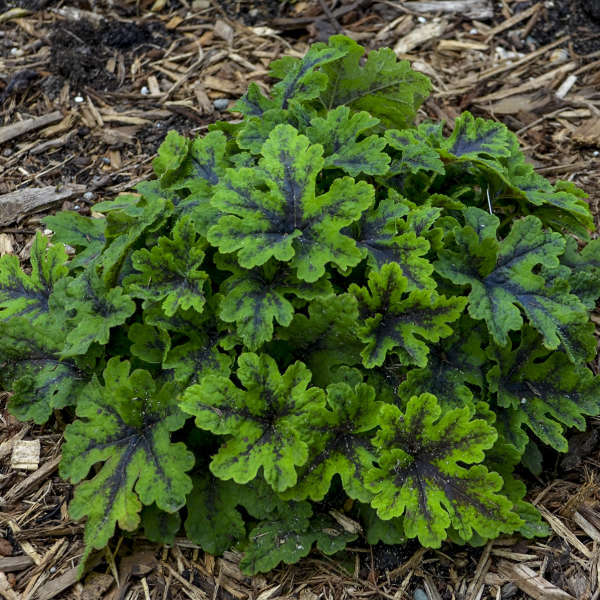 This woodland perennial is truly a plant with interest for all seasons. 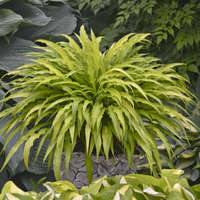 Starting in spring, bright green foliage will jump out at you from the shade. Each leaf is deeply lobed with pointy edges, with an overall lacy texture. The centers of the leaves have burgundy blotches, like handprint made with paint. Ivory flowers appear just above the foliage in early spring. This foamflower is a semi-running type, forming a compact, dense, rounded mound that will have restrained spreading. 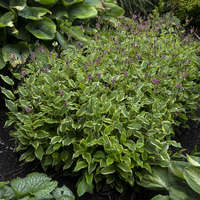 Tiarellas can be grown in containers and in the landscape anywhere that dappled to full shade can be provided. 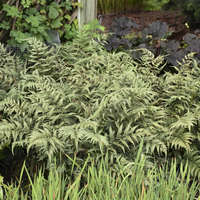 They pair beautifully with hostas and ferns. Tiarellas are light to moderate feeders, requiring only modest fertility levels. Fertilize at a rate of 75-100ppm. Reduce this rate to 50 ppm or zero after flowering. 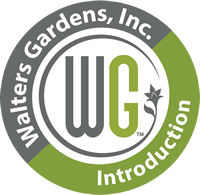 If a heavy flowering plant is desired in the spring it is best to plant in late summer and allow plants to go dormant for the winter months. Root and crown rots, caused by the pathogens Phytopthora, Pythium and Rhizoctonia are sometimes a problem. Tiarellas are most susceptible to these pathogens when they are over-watered or when grown under cool conditions, such as going into or coming out of winter dormancy. Botrytis is another disease that could be problematic. Supply adequate circulation to avoid this disease. Powdery mildew and rusts are also sometimes an issue. 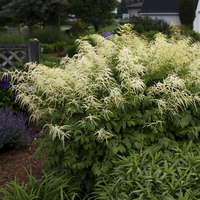 To obtain full, flowering Tiarellas for spring sales, it is beneficial to plant them during late summer of tbe previous season. 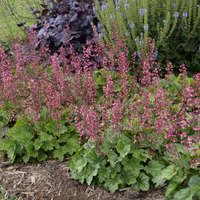 You will be rewarded with more blooms on fuller plants. Provide them with even moisture. Tiarellas do not tolerate overly wet conditions, which may cause Pythium or Phytopthoa. Additionally, when they are kept too moist over an extended periods of time, the foliage may become slightly chlorite. They can tolerate dry, but not drought-like, growing conditions. Once established, allow to dry out between waterings. 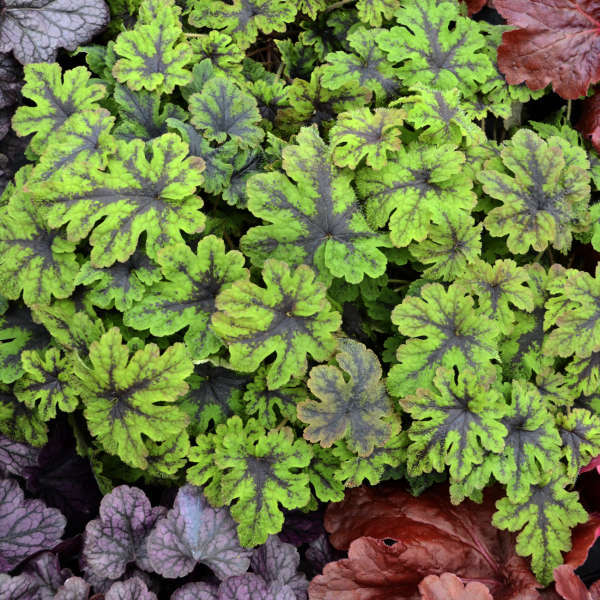 Grow them in a 55% shade in the north and a 80% shade in the south.